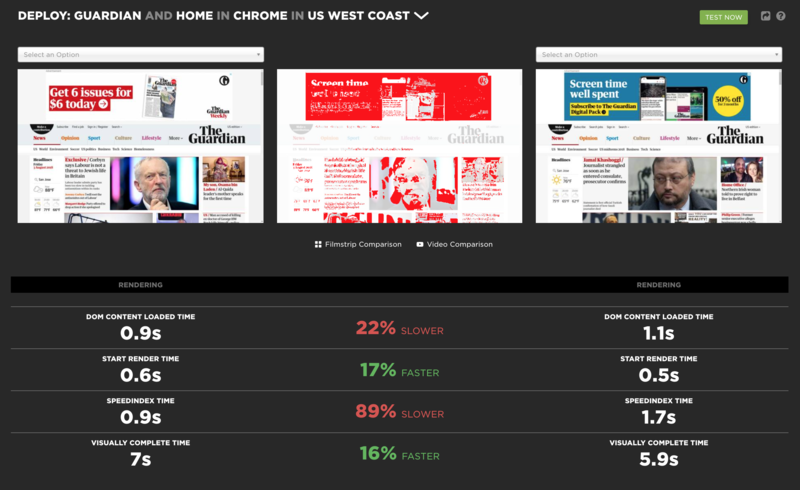 We're planning to add a way to compare any two tests using the SpeedCure UI. In the meantime here's a quick hack you can use to compare any two tests using the Deploy dashboard. Once on the Deploy dashboard you can update the URL params to "latest" & "previous" to compare any two test ids. 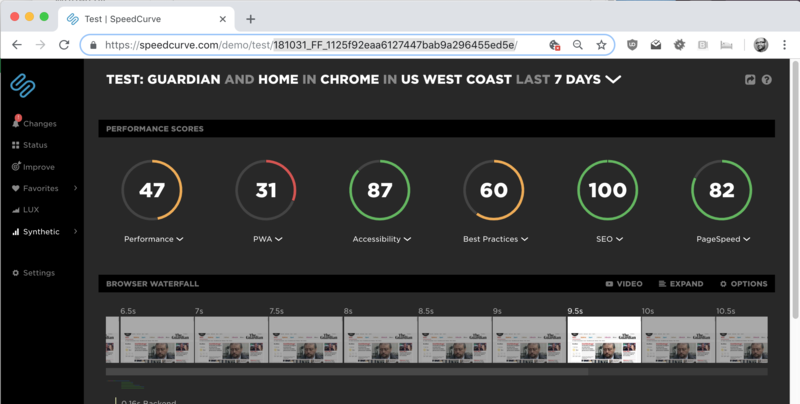 From the Deploy dashboard you'll then be able to download a filmstrip comparison image or video and compare metrics to see what has changed and by how much.